History: 2 year old child refusing to bear weight. 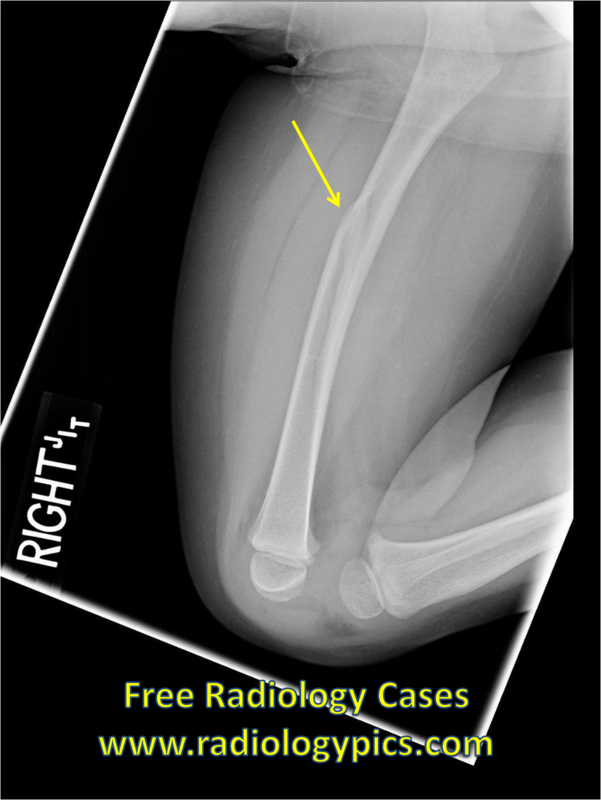 Femur fracture: Lateral radiograph of the right femur reveals an obliquely oriented fracture of the diaphysis, with mild anterior displacement. This is a fracture of the right femoral diaphysis in a two year old patient. These usually heal very well, but it is important to monitor the child for blood loss and compartment syndrome because of the possibility of adjacent vascular injury to the femoral artery.